Pest description and damage This leafminer forms blotch mines in leaves and can defoliate trees. 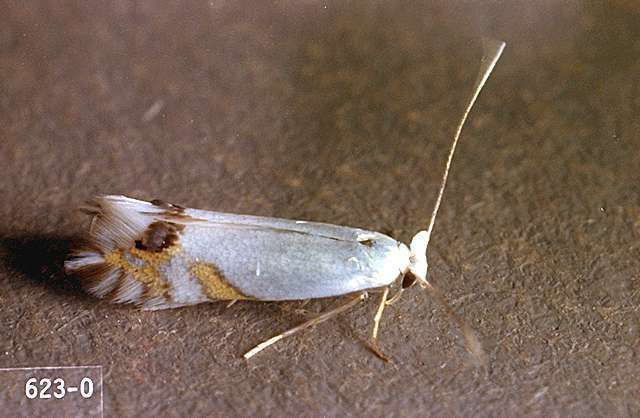 Adult moths are slender with white wings with a small black spot at the rear end. 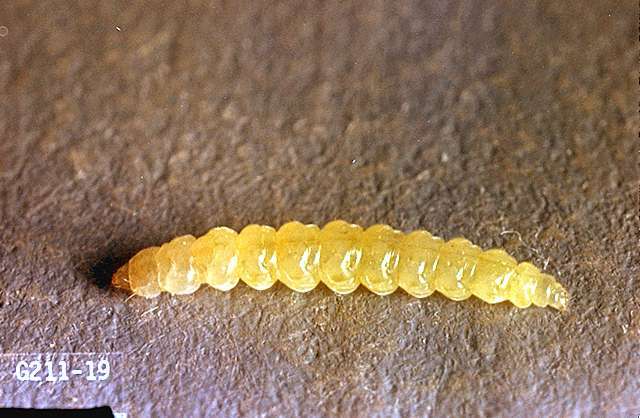 The larva is white with parallel, undulating segments. 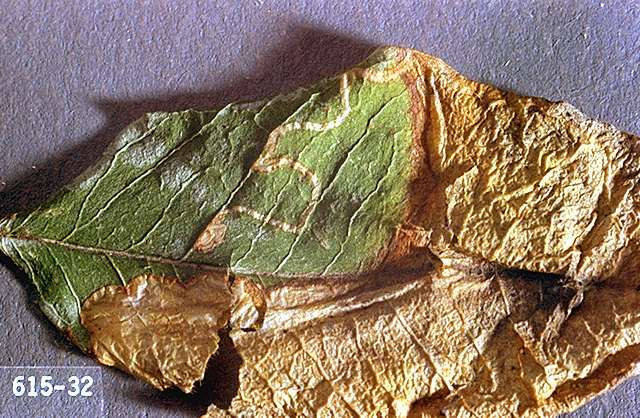 The leafmine begins as brown spot, then a slender winding mine forms which suddenly widens to forms a blotch mine with swirls of green or black frass. 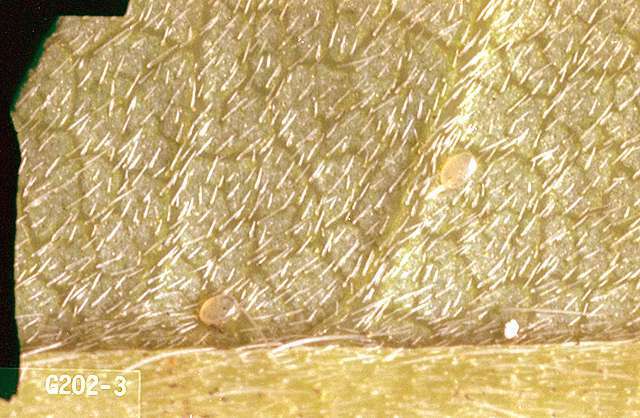 Larvae leave the mine, weave parallel strands of silk across the leaf, then pupate suspended among the silk.